Author, J. Gregory Payne Associate Professor of Organizational & Political Communication at Emerson College (1983); B.A., M.A., Ph.D., University of Illinois; M.P.A., Kennedy School of Government, Harvard University. Dr. Payne is an author, speechwriter and expert on political communication, ethics, and docudrama. His recent research publications include articles on ethics and the mass media, health communication, and political communication. He is the founding Director of the Emerson College Political Media Study Group, co-director of the Emerson Center on Ethics in Political and Health Communication, and author of Tom Bradley: The Impossible Dream, Mayday: Kent State, and the play Kent State: A Requiem. Dr. Payne is on the editorial boards of The Quarterly Journal of Speech, the Journal of Health Communication, and the Southern Speech Journal. He was the guest editor of the 1989, 1993,1997 and 2001 special editions on political campaigns for the American Behavioral Scientist. 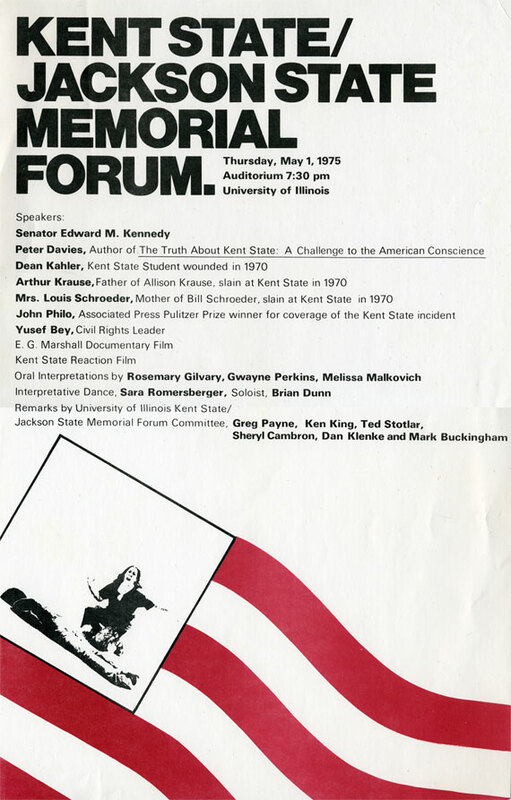 In response to the global phenomenon surrounding the tragic death of Princess Diana, a trilogy of conferences was organized by the Department of Communication at Emerson College to promote further dialogue and discussion in an effort to understand this rhetorical phenomenon and the short and long-term meaning to the diverse audience (website). Mr. Shoop, a transfer student from Kent State University, is majoring in Political Communication with a minor in history. Recently, he has begun an internship at the Institute for Defense & Disarmament Studies. Mr. Shoop's great grandfather, Seabury "Gus" Ford was the Ohio state grand jury prosecutor during the Kent proceedings. All materials copyright © 2003 J. Gregory Payne.